ECC-Net aims to promote consumer confidence by advising citizens on their rights as consumers and providing easy access to redress, in cases where the consumer has purchased something in another country to his/her own (cross-border). ECCs provide consumers with a wide range of services, from providing information on their rights to giving advice and assistance to their cross-border complaints and informing about the available resolution of disputes. They also advise on out-of- court-settlement procedures (ADR) for consumers throughout Europe and provide consumers with easy and informed access to such procedures, when an agreement could not be reached directly with the trader and where an applicable ADR is available. According to Regulation (EC) n°45/2001, you are entitled to access your personal data and rectify and/or block it in case the data is inaccurate or incomplete. 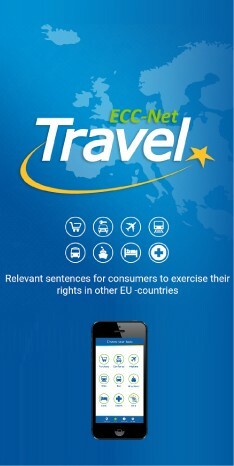 You can exercise your rights by contacting the European Consumer Centre with which you have been in contact or the data controller, or in case of conflict the Data Protection Officer of the Commission and if necessary the European Data Protection Supervisor using the contact information given at point VIII. below.